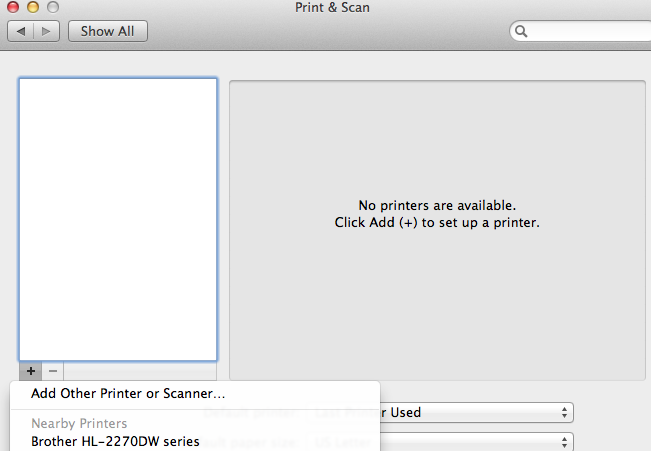 The software for this printer is currently unavailable. Please contact the printer’s manufacturer for the latest software. If you get that error when attempting to install the printer, select cancel to your install. Followed by clicking on the Apple logo on the top left of your screen (it’s the Apple Menu Bar) and selecting Software Update after connecting the printer, this will trigger the successful downloaded of the correct drivers. Once the download is completed, the Add Printer option should automatically install the printer once selected. Now click on Print & Scan icon inside of the System Preference window. And inside of the printer window, either hold control key (on keyboard) and click on printer or right mouse click over the list of printers. 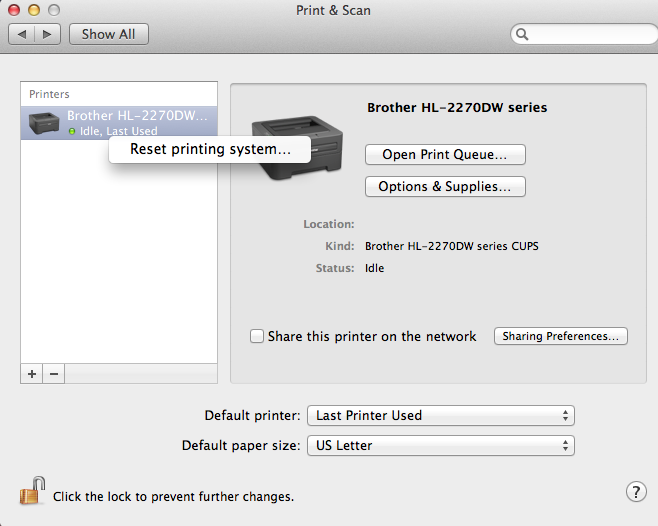 What this will do is uninstall all of your printers, and reset the Mac Printer software. Once reset you will have to reinstall all of your printers (if you have more than 1), but you should now be able to install with no problems. Once that next window opens, select the printer. Now on the bottom choice change “Print Using” to Other and browse to the folder where you downloaded the original file that you installed at the beginning of step 3. In the next window search for your model printer, and select your printer. Your printer should now complete the install process.